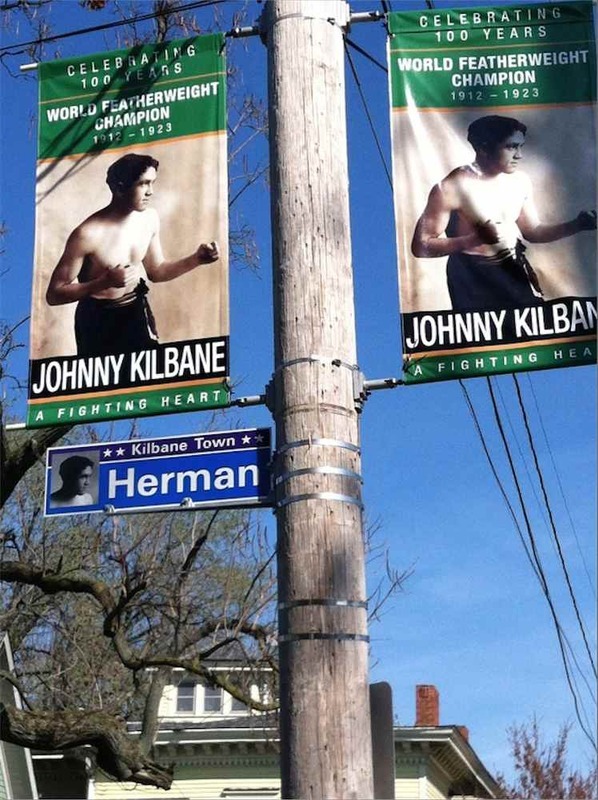 The Cleveland Leader dubbed the west side neighborhood near Herman Avenue and West 74th Street "Kilbane Town," in honor of world featherweight boxing champion Johnny Kilbane. In March 1912, Kilbane Town was the end point of one of the longest and largest St. Patrick's Day parades in city history. 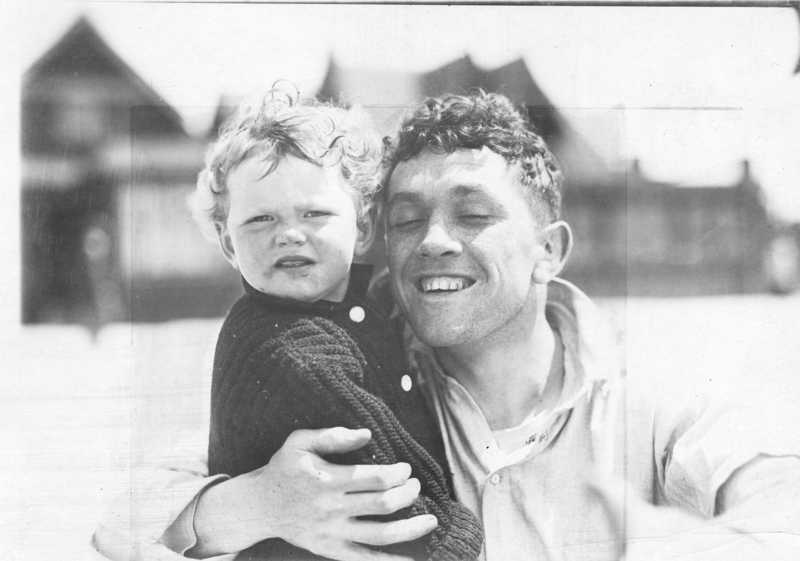 Just one month earlier, the diminutive second-generation Irish American from the west side of Cleveland, had faced Abe Attell, a scrappy Jewish-American boxer, for the world featherweight boxing title in a match held in Los Angeles. 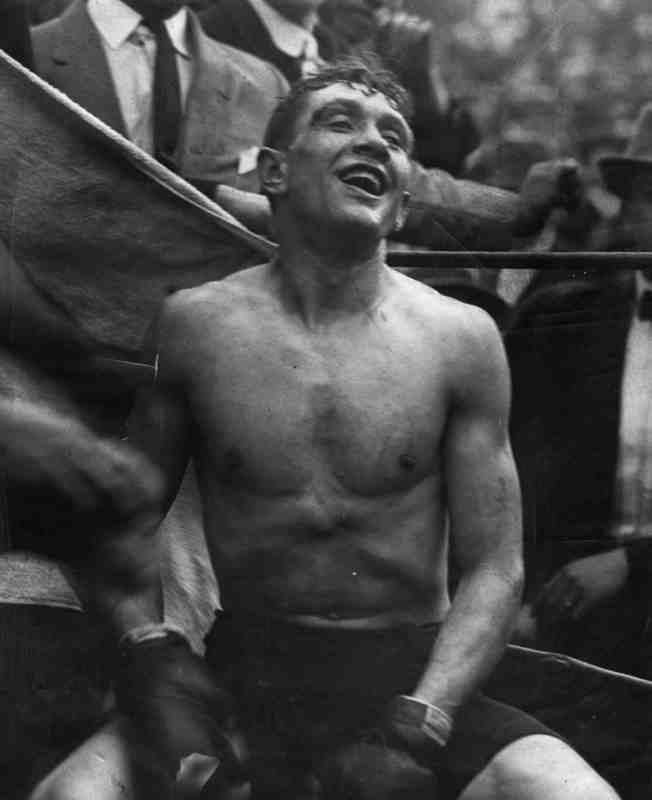 Attell had dominated the featherweight class since 1901, holding the World Featherweight Champion title between 1901 and 1905, and again from 1906 until 1912. He had even defeated Kilbane less than two years earlier, on October 24, 1910, in a title match held in Kansas City. This time the result would be different. 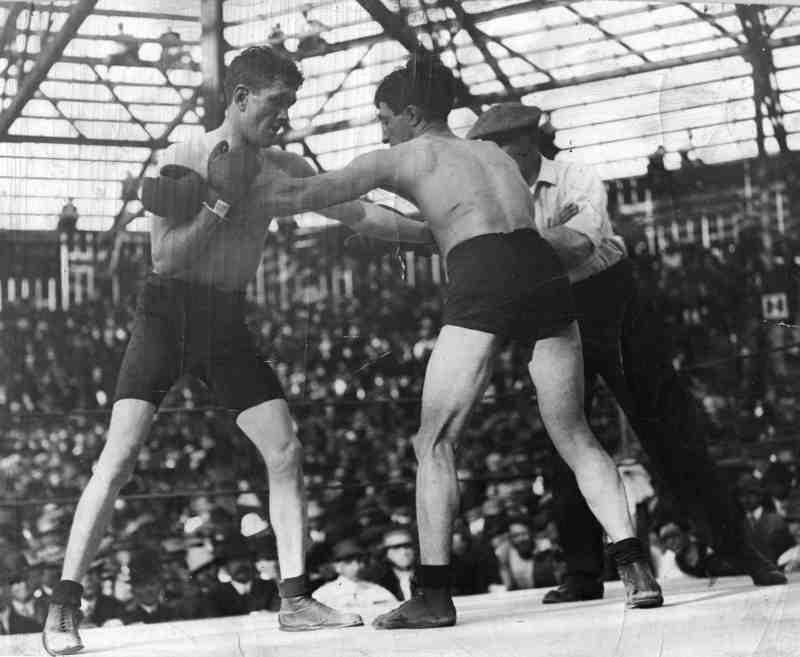 Kilbane defeated Attell in their grueling 20 round rematch to become world champion. Kilbane returned to Cleveland on the perfect day for an Irish-American boxer--St. Patrick's Day. At 4 PM on March 17, 1912, his train pulled into Union Station located on Lakeside Avenue between West 6th and West 9th Streets. There, Johnny emerged from the train waving a green flag symbolizing his Irish roots. 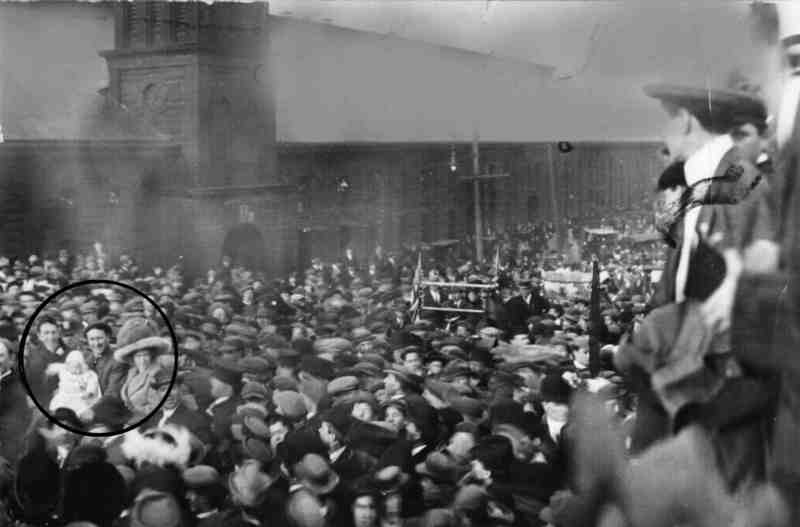 Throngs of Clevelanders were there to greet him, literally covering the hillsides and embankments near the Station. Cleveland newspapers "conservatively" estimated that the crowd in downtown Cleveland that day numbered 200,000. A parade sponsored by the La Salle Club of St. Malachi Church formed at the Station and carried Johnny and his family by automobile to the steps of Cleveland City Hall (then located at East 4th and Superior Avenue). Mayor Newton Baker, who broke his rule against attending parades on Sunday, was there to greet Johnny. The parade then wound its way through the streets of downtown Cleveland, before crossing the Cuyahoga River onto Cleveland's west side. There, the parade proceeded all the way down Detroit Avenue to West 74th Street--to Kilbane Town, finally and reluctantly disbanding there at 7:00 PM, approximately three hours after the parade began. 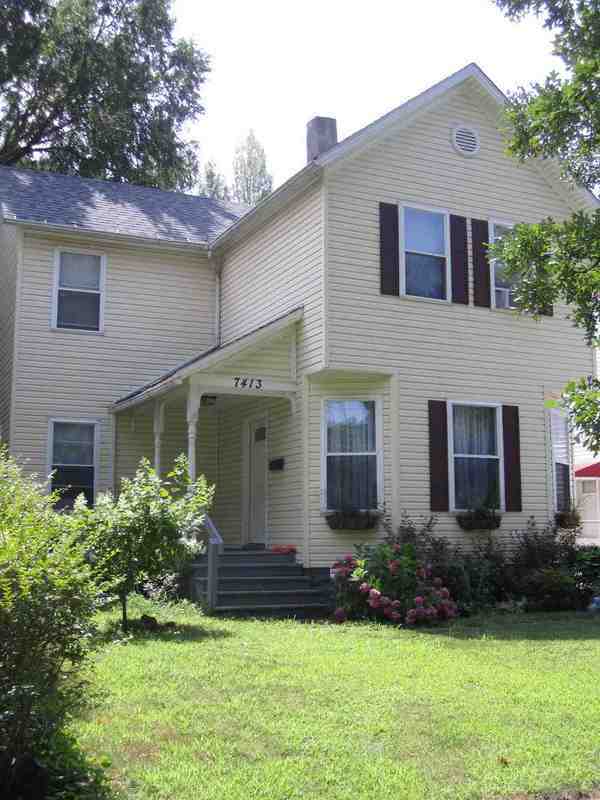 Johnny Kilbane was born and raised in Cleveland's Old Angle, before moving uptown to West Herman Avenue in 1910. He was an affable man who captured the public's love and affection as much by his fighting prowess as by his reputed clean living style and devotion to his blind father, young wife and daughter. Johnny did much to bring respectability to a sport that was, at the time, generally considered to be disreputable. After his boxing days were over, Johnny Kilbane remained in the public eye by operating a west side gym for kids and later by embarking on a career in politics which included a term as State Senator. He ended his public career as Clerk of Courts for Cleveland Municipal Court, a position he held until his death in 1957. 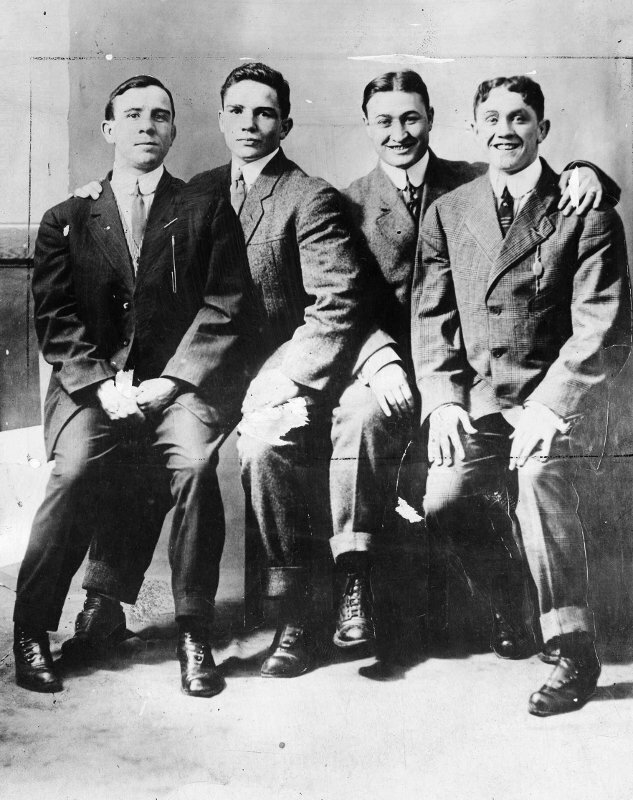 Boxing as a Team Sport : Pictured in this 1912 photo are the four men who constructed the strategy that enabled Johnny Kilbane to revenge an earlier defeat at the hands of Abe Attell and to win the world featherweight boxing title from Attell on February 22, 1912. From left to right are: Danny Dunn, Tommy Kilbane, Jimmy Dunn (Manager), and Johnny Kilbane. Image courtesy of Cleveland State University. Michael Schwartz Library. Special Collections. 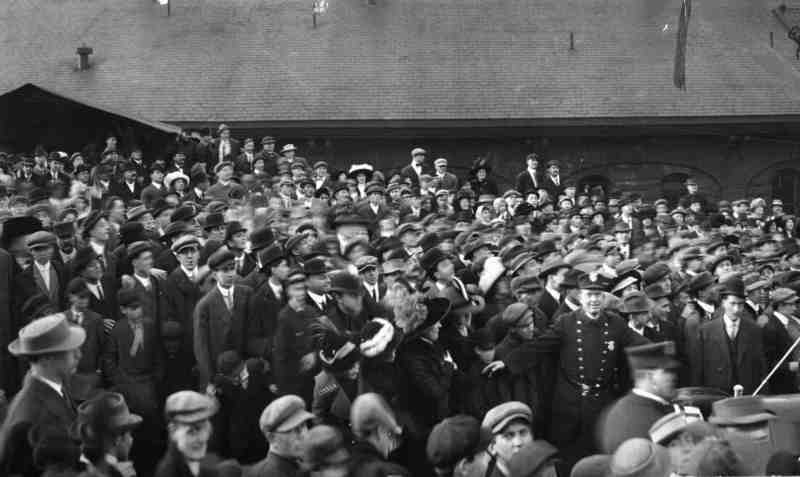 A Surging Crowd: An overwhelmed Cleveland police officer does his best in the afternoon of March 17, 1912 to hold back the crowd at Union Station which is impatiently waiting to catch a glimpse of the new world featherweight boxing champion from Cleveland. Image courtesy of Cleveland State University Library Special Collections. 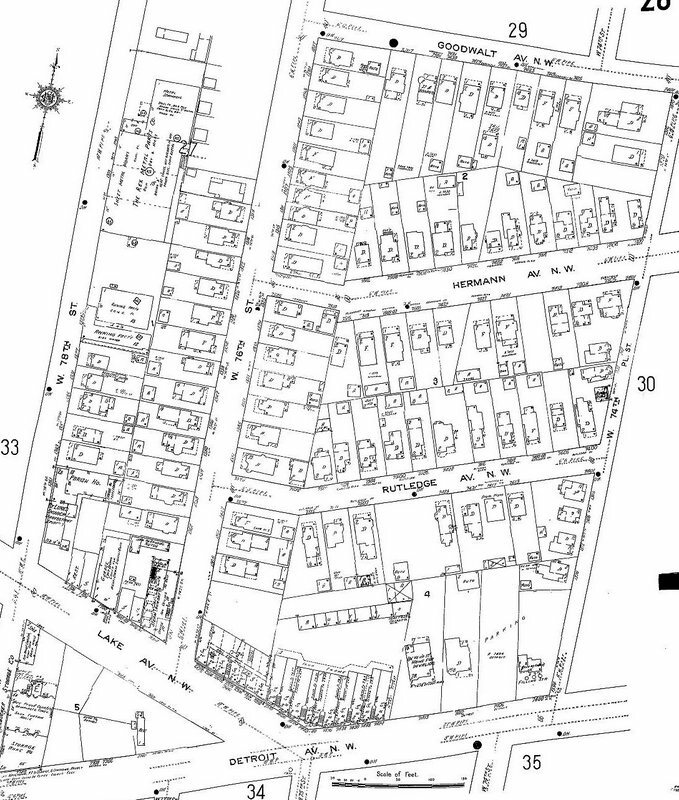 Jim Dubelko, “Kilbane Town,” Cleveland Historical, accessed April 18, 2019, https://clevelandhistorical.org/items/show/288. Published on Jul 23, 2011. Last updated on Jun 28, 2018.